The Value of having your Rescheck or Manual J created for you | $79 RESchecks & Manual Js. $79 Any Plan. Any State. Today on the Reschexpert blog we are going to discuss why it may make more sense to hire somebody to create your manual J or Rescheck as opposed to creating it yourself. While handling most parts of a project yourself is a great way to save money in this edition we want to discuss when it might be better to let an outside eye take a look at your home energy needs. Reason number one to let someone else handle your Rescheck or manual J is that you do not have the time to learn the software and your time is valuable. At Rescheck.info we calculate that if you make over $20 per hour then hiring your Rescheck out makes the most sense. We came to this conclusion by finding that the average amount of time to create a Rescheck at Rescheck.info is 4 hours. So if it takes you 4 hours to create your own Rescheck you are already at $80 where we charge just $79. Furthermore, in our beginning Rescheck and manual J classes that we teach we see a much longer time horizon of 10-12 hours to create a DIY Rescheck or manual J for the first time. The software on each home energy audit can be tricky for a first time user. Reason number two why you should let Rescheck.info handle your Rescheck is because the offer we make sounds too good to be true. Sometimes when people hear that we offer our Rescheck and manual J reports in 4-6 hours, with free lifetime modifications, for only $79 each they think what their grandpa taught them. If it sounds to good to be true, it usually is. So they typically pick up the phone and call us on the Rescheck Help Line at 865-235-6277. We confirm that we do only charge $79 for the highest quality Rescheck in the industry and we will return it to you the same day, plus we will include free lifetime modifications. You see the human brain typically assigns higher value to items with a higher price tag. So if we were to offer this same service for $199 then all the options you receive would seem more reasonable and not sound to good to be true. However, we are strictly in the business to provide people with affordable manual J and Reschecks reports and help them build the most efficient structure’s possible. Therefore we only charge $79 for each report or $129 for a Rescheck and manual J combo pack. Reason number three why an independent home energy auditor may work well for your project is personal project bias. You see when you build your own project sometimes it is easy to develop tunnel vision. Whether this is brought on by your budget, time schedule, or passion for your own work it can easily happen to the best of us. Even after your home is built the one bill that will continue to arrive (besides your property taxes) is your energy bill. If you want to confirm your suspicions that you have designed your home with the correct amount of insulation in the walls, roof, foundation, windows, and doors then it might make sense to let someone from outside the project take a look. This is another instance where hiring someone like Rescheck.info to handle your Rescheck or manual J might start to make alot of sense. 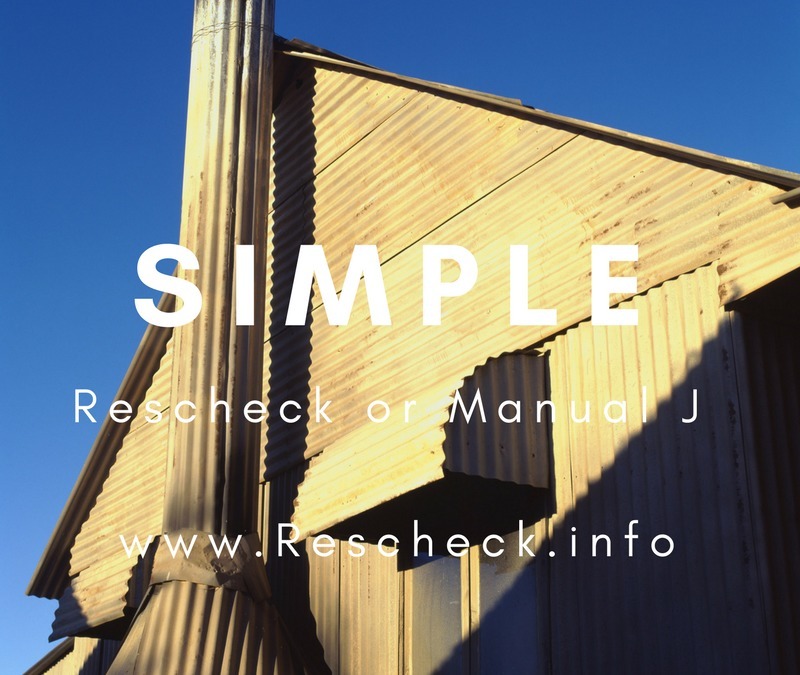 Overall, there are plenty of homes that are built each year that will require a Rescheck or manual J report. If yours happens to be one of them you can rest assured that we will handle your Rescheck and manual J promptly, for a unbelievably low cost, and that we will be there for your for the life of the project. If you are ready to get your Rescheck started today simply email your plans to [email protected] We will instantly start on your Rescheck or manual J (or both). Once we have your manual j or Rescheck completed we will email you back a recap of your construction project along with an invoice. Just like that your Rescheck and manual J are complete.